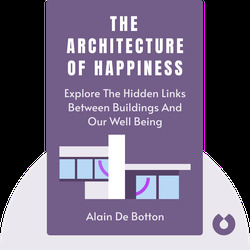 The Architecture of Happiness (2006) is about how humans relate to architecture and design. 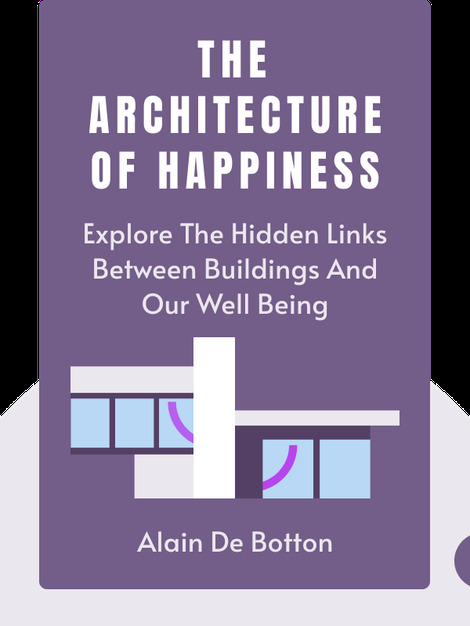 These blinks demystify the power of architecture by explaining why different people prefer specific buildings, how design speaks to us and how we can use architecture to bring out our best. Alain de Botton is a Swiss-born author and television presenter based in London. He published his first book, Essays in Love, at the age of 23 and, in 2008, co-founded the School of Life, an organization focused on emotional education, particularly in the areas of work and relationships.